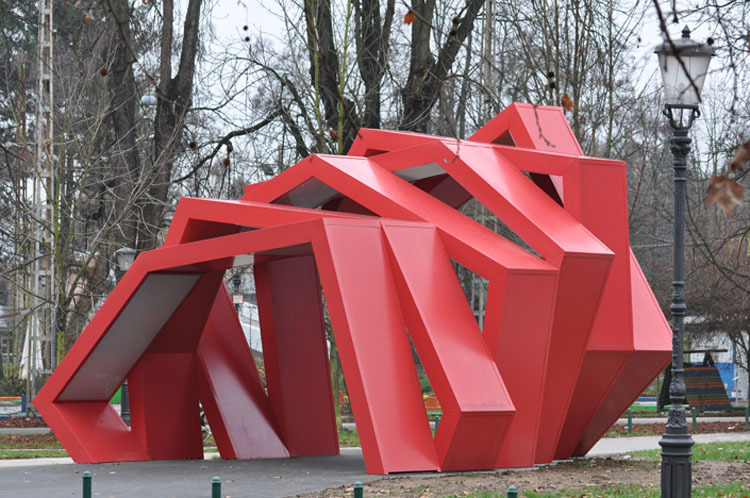 Originally designed for, and a second place winner of, the Trimo Urban Crash competition, this dynamic urban sculpture designed by architect Rok Grdisa has now become a permanent installation in Tivoli Park in Ljubljana, Slovenia. 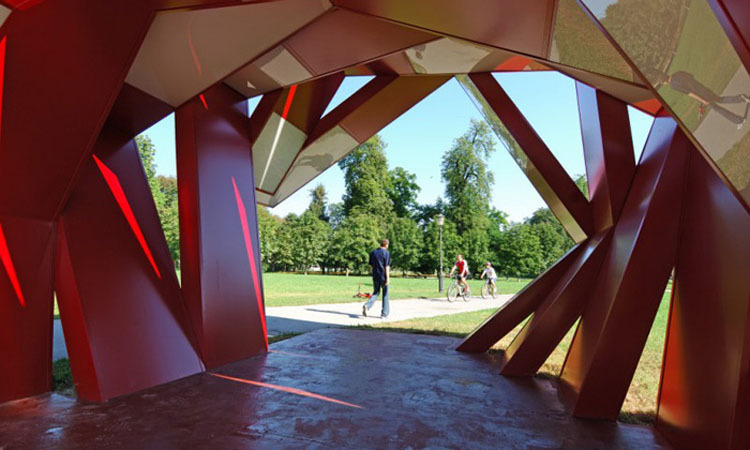 Acting as an information pavilion, this red structure made up of 6 differently folded bright red metal panels, has a sort of blooming effect that is very appealing. The interior panels include lighting, which makes for lovely nighttime illumination.